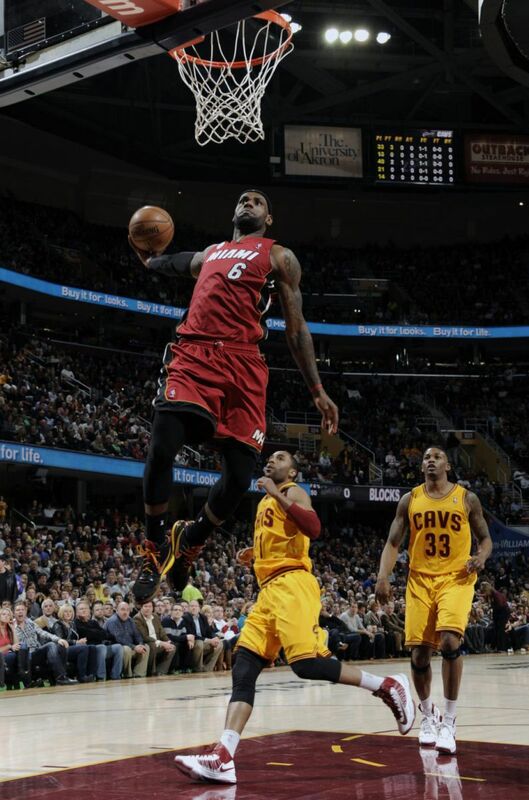 LeBron tells us why he decided to turn back the clock last night in Cleveland and wear the Zoom LeBron VI. When LeBron James was heading back to Cleveland last night, it was clearly more than just another game. 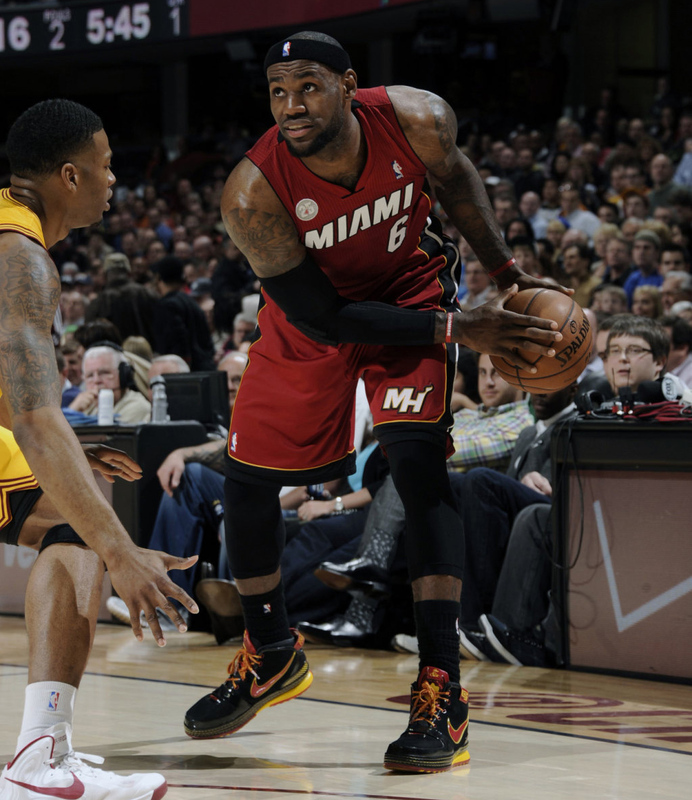 He was back in his old stomping grounds where he left his mark after seven seasons as the Cavaliers' franchise player. In the short term, he was looking to extend a league-best 23-game winning streak with his new squad. While there was sure to be some expected hostility at The Q towards the state's greatest player ever, things have eased up in the area for LeBron as time moves us further past the summer of 2010 and The Decision. There was an equal mix of cheers and boos for tipoff this time around, a noticeable shift from his last few visits back. "It can't get no worse than December 2, 2010," James sighed afterwards. His return game was perhaps the most exciting night of the Heat's now 24-win streak yet, capped off by a comeback from a 27-point third quarter deficit and a triple double for King James. 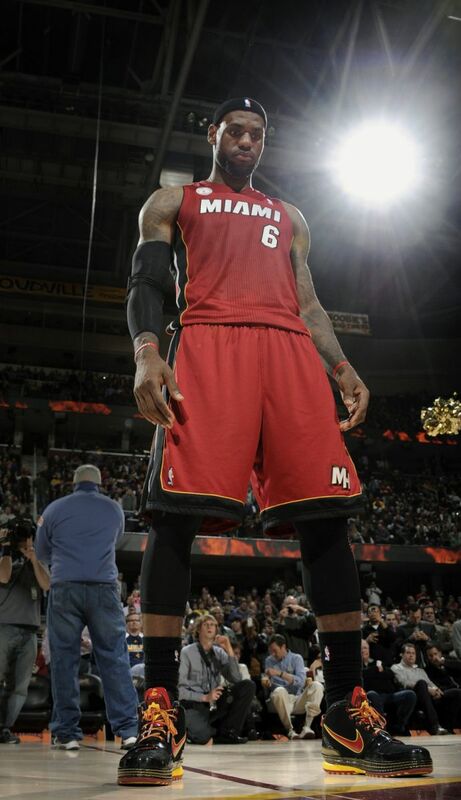 LeBron's 25 points, 12 rebounds and 10 assists were highlighted by a string of beastly rebounds down the stretch, perfect passes on the move to corner gunners and some huge threes of his own to carry the Heat in front of the familiar crowd. 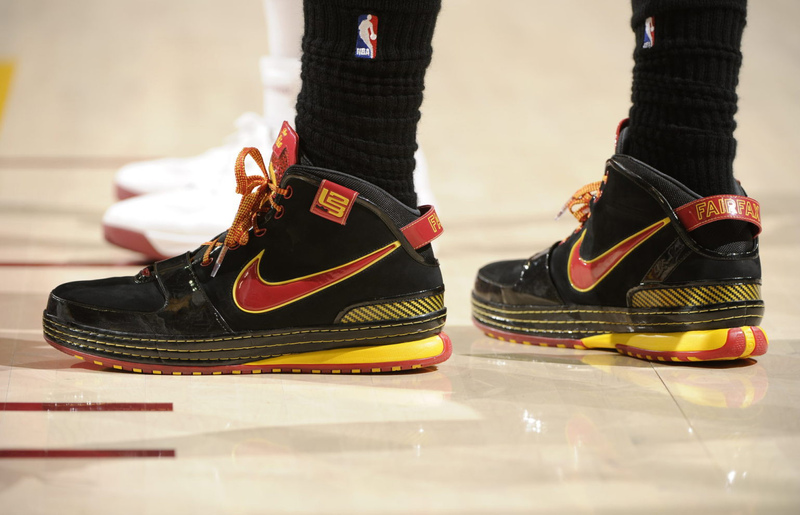 While he did the bulk of his damage in his usual signature LeBron X, he actually started the game out with a friendly nod to his Cleveland days and broke out a pair of the Zoom LeBron VI for the first quarter. It was The Six that James won his first Olympic Gold Medal in, and later on to close the 2008-2009 season, his very first MVP trophy. With full-length Zoom Air, a support overlay rand through the toe box and a new iconic tongue that has now become the norm for the series, the shoe was decidedly more off-court friendly than past models, and helped to usher LeBron into a lifestyle space that his line has enjoyed ever since. "We wanted The Six to be the beginning of this kind of bridging of the gap between culture and sportculture,” designer Ken Link told Sole Collector. “We wanted to do great performance in a package that's simple, refined and tailored." To hear all about how he decided to turn back the clock for his return to Cleveland last night in what was an insta-classic game during the Heat's historic run, our own Zac Dubasik caught up with LeBron after the game in the Heat locker room. Are there any older shoes you'd like to see LeBron break out for special occasions in the future? Zac Dubasik: How'd you decide to wear the VI for tonight's game? LeBron James: I was back home in Akron yesterday at my crib, and I got an inventory of kicks there, so I was just looking around at all of the stuff that I've got there. First of all, they're a Heat team colorway. I was looking through a bunch of boxes, and I saw these VIs in the Fairfax color and I was like, “Oh!” Then I said, “Ahh, should I? Should I take it back?” DWade was staying with me too actually, and he said, “Why not?” It was that simple. So I brought them, and they felt pretty good. I've had them forever, and they felt really good. ZD: Was it a big change to go from the VI to the X? LeBron: It's always a transition, and it's difficult to do because my shoe has evolved so much over the years since I wore the VI. ZD: So that might not be something we see you do too many times? LeBron: Right. I won't do this a lot, because I'm so used to being in the X. It's even hard to go from the X to the X PS at the beginning too. But it was fun to go out there and play the first quarter in a retro.